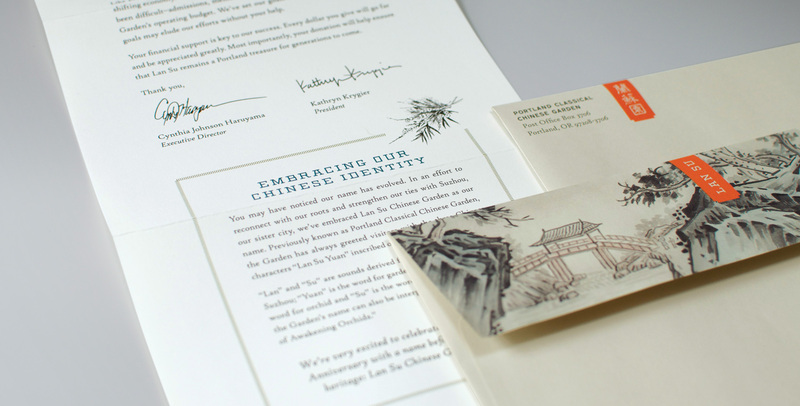 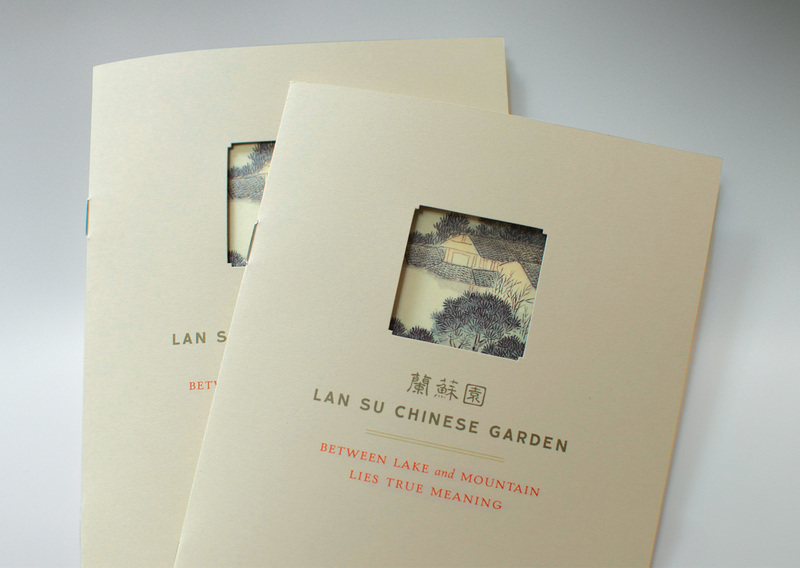 The new Lan Su Chinese Garden visitor guide’s die-cut cover frames original Chinese scroll artwork and an invitation to “enter the wonderland”. 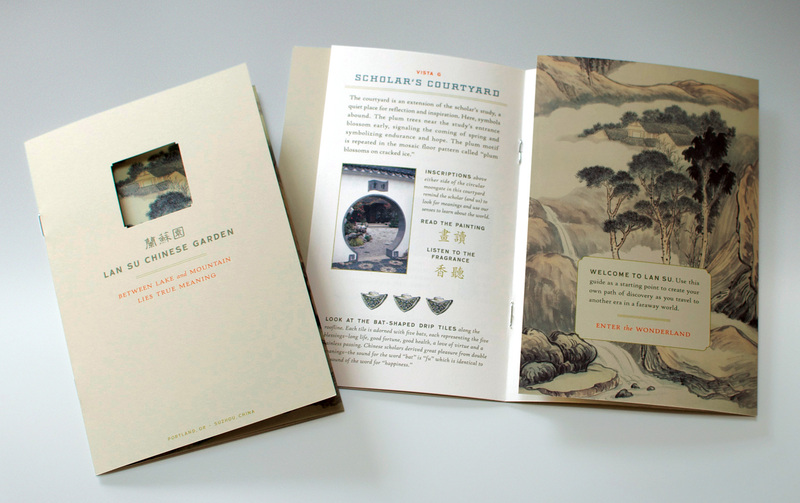 Spot illustrations reinforce key elements and themes that educate visitors about another worldview – one that places emphasis on nature to find true meaning. 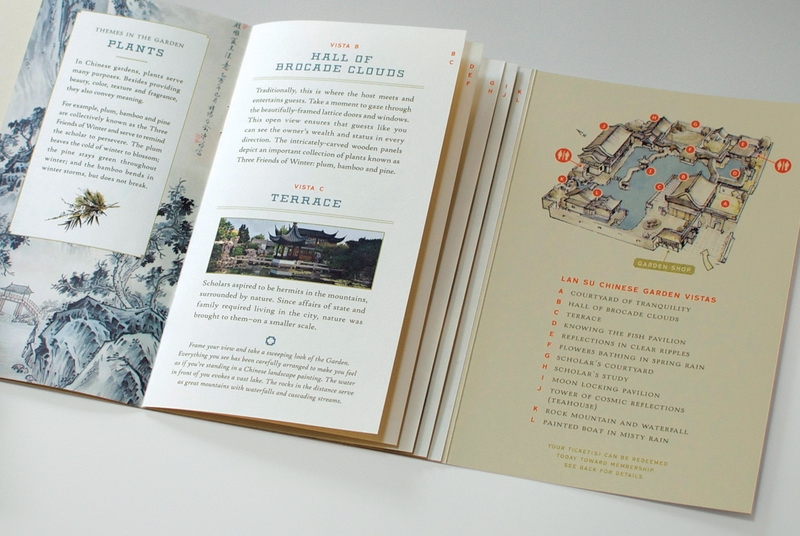 Information is easily found using the always available map flap and tiered index-style pages, making sure visitors don’t feel lost and are easily able to explore every nook and cranny of the garden. 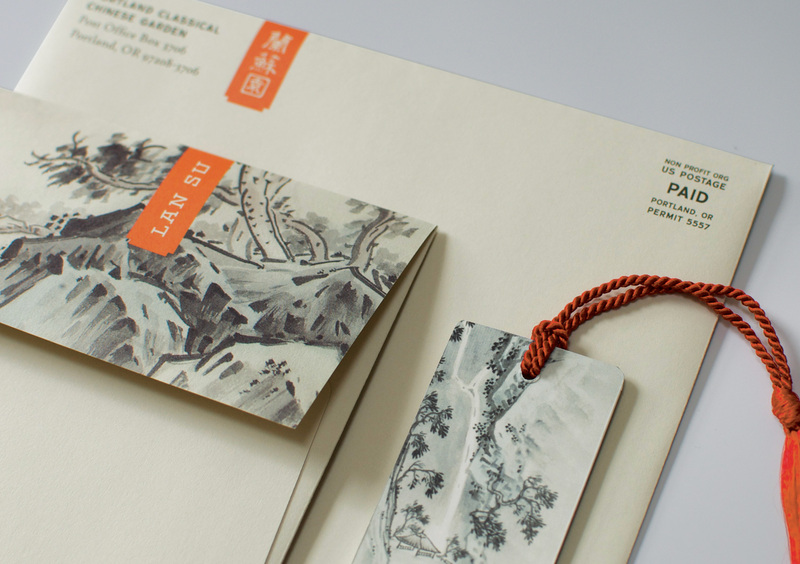 The logo is reminiscent of Chinese chops with a modern twist. 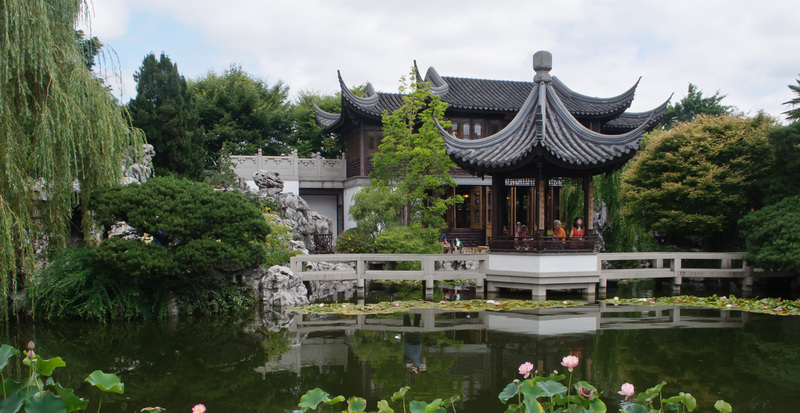 The name Lan Su is designed to mimic the structure of the garden’s layout.